Seller will give you a gift certificate in the amount of 4,9324 RUB for a positive review of the product purchased. 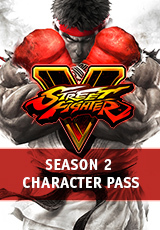 Contains 6 additional characters: Akuma and 5 new fighters join the battle! Each character from Season 2 already has a combat premium suit with access to colors 3-10. Seller will give you a gift certificate in the amount of 4,9324 RUB for a positive review of the product purchased..